If you like old things, then visit this stall at the Milnerton Fleamarket. The proprietor stocks a huge variety of old bottles. Notice the old Coca Cola bottle? That one sells for R20, while the one its right is marked R25. The little brown bottle to the left of the Coca Cola bottle is an old ink pot from the late 1800's and the large bottle to the right of the photo (the one with the big white label) is an old whiskey bottle. 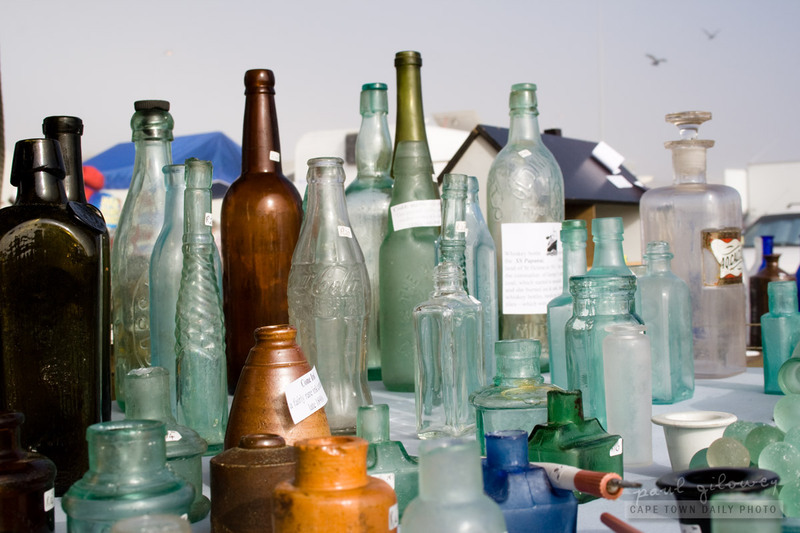 If you have a fetish for old things, or even if you'd like to sell off a few rare old bottles of your own - visit this stall at the Milnerton Fleamarket. Posted in General and tagged market, milnerton on Saturday, 27 August, 2011 by Paul. The sellers had started packing up a lot of their goods by the time that we reached stall C33 at the Milnerton Fleamarket. For reference, the market is open on Saturdays, Sundays and public holidays from 7am to 3pm. 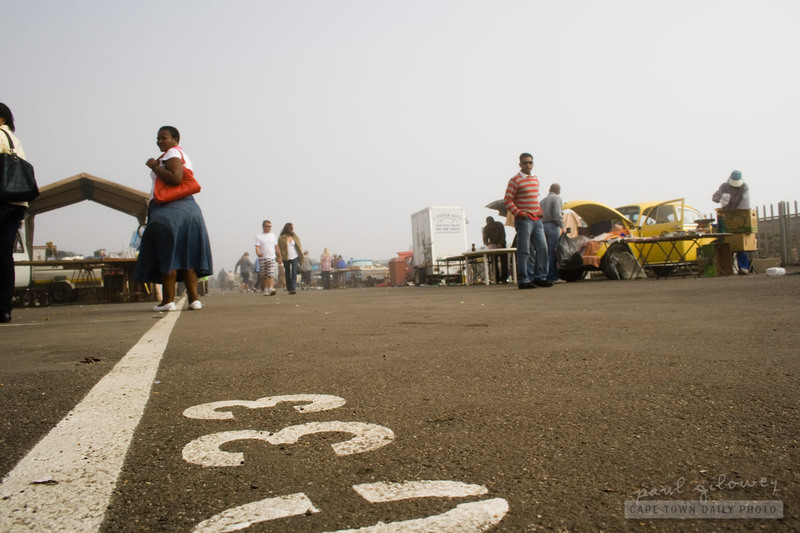 Posted in General and tagged market, milnerton, people on Friday, 26 August, 2011 by Paul.